With support from the imperial courts of the Northern Dynasties, the saṃgha in northern China established a comprehensive system of monastic officials to administer Buddhist affairs and built a constellation of grottoes at various places such as Datong 大同 in Shanxi Province, Luoyang 洛陽 and Xiangzhou 相州 (present-day Anyang 安陽) in Henan Province, and Yedu 鄴都 (present-day Linzhang 臨漳 in Hebei Province). During the same period, the Buddhist intellectual trend, dominated by the Dilun 地論 tradition (i.e. the Chinese Buddhist tradition based on the Daśabhūmika-bhāṣya [Shidi lun 十地論]), started to boom, leaving a profound impact on the development of various Buddhist traditions such as Tiantai 天台, Huayan 華嚴, Chanzong 禪宗, and Lǜzong 律宗. 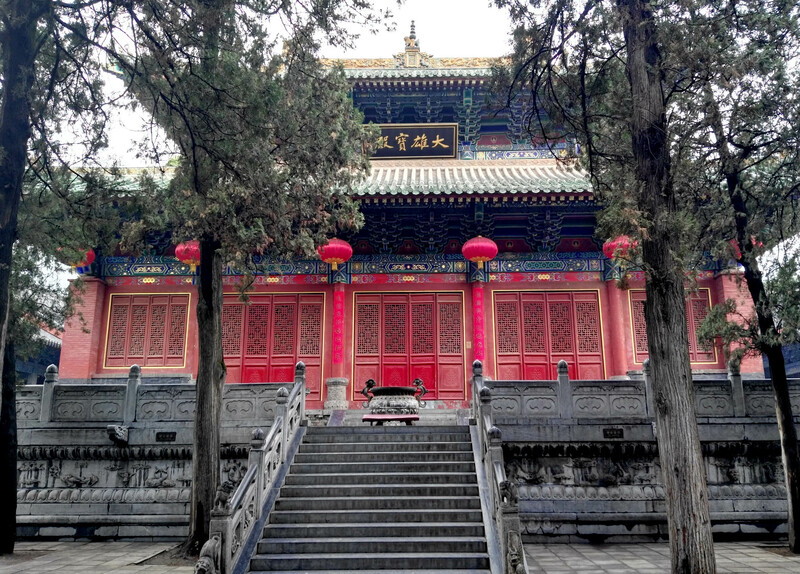 Located in the vicinity of the capital, Luoyang, and roosting upon Mount Song 嵩山, the Shaolin Temple enjoyed a close association with metropolitan Buddhism, as well as with Buddhism as a whole in the Northern Dynasties. Allegedly founded by the South Asian meditation master Buddha (Fotuo 佛陀 [active 525–538]), the temple figured heavily in the landscape of Northern Dynasties Buddhism, serving as the cradle for the Buddhist traditions Dilun, Four-Division Vinaya, and Chan. The historical profundity and importance of the Shaolin Temple call for specialized exploration and discussion. To this end, the Shaolin Temple, the Institute for Ethics and Religions Studies of Tsinghua University, the Center for Buddhist Studies of Peking University, the Institute of Buddhist Culture of China, have decided to jointly sponsor a “Conference on the Shaolin Temple and Buddhism under the Northern Dynasties” at the Shaolin Temple on Mount Song, Henan, between July 31 and August 2, 2017. This conference is part of a summer project conducted by an international and interdisciplinary cluster program led by Kai SHENG (Tsing-hua), which, along with fourteen more clusters, constitutes the multi-year project directed by Jinhua Chen (UBC) and funded by the Social Sciences and Humanities Research Council of Canada (SSHRC) (www.frogbear.org). Selected panelists of the conference may also apply to attend other parts of the cluster program (http://frogbear.org/field-trips/cluster-field-trip-plans/clusters-in-phase-1-2017-2019/). We cordially invite scholarly contribution in the form of an unpublished paper on a topic pertinent to the themes as suggested below. All conference-related costs, including local transportation, meals, and accommodation during the conference period, will be covered by the conference organizers, who——depending on availability of funding——may also provide a travel subsidy to selected panelists who are in need of funding. Interested scholars are encouraged to submit their proposals and C.V. to vicky.baker@ubc.ca by February 28, 2017. A draft paper is expected by July 1, 2017 and may be written either in English or Chinese, the two working languages for this forum. Fully completed papers are due by the end of 2017, to be included in the conference proceedings scheduled to appear by the end of 2018. The Shaolin Temple and studies of Buddhist meditation in the Northern Dynasties.